John McCabe was born in 1939 near Liverpool of Irish descent from his physicist father, and German/Finnish from his mother, Elisabeth Herlitzius, a keen amateur violinist. He decided to become a composer at five-and-a-half, even before he began to study piano, with a pupil of the leading teacher Gordon Green. Following studies at the then Royal Manchester College of Music (now the Royal Northern) and in Munich, on a German Government scholarship, he began a career as both composer and pianist. Early attracted to Haydn's music, he fell in love with the piano sonatas while young, and later recorded a ground-breaking complete set (now on 12 CDs) for Decca, which has never been out of the catalogue, and has provided a standard for pianists who followed in his wake. John McCabe's compositions, which have been performed all over the world, cover every genre. Among his most successful works is the ballet Edward II, created and choreographed by David Bintley (Stuttgart Ballet 1995), and premiered to great acclaim, by the Birmingham Royal Ballet in the UK, winning among others, the 1998 Barclays Theatre Award. Other major works to be found in the McCabe catalogue include Notturni ed Alba (with soprano soloist), The Chagall Windows for orchestra, Concerto for Orchestra, seven symphonies and numerous concertos. Cloudcatcher Fells and Salamander have become classics in the Brass Band repertoire. McCabe's full-length ballet Arthur, Part 1: Arthur Pendragon, with choreography by David Bintley, was premiered by Birmingham Royal Ballet in 2000. It is the first half of a cycle of two full-evening ballets, the second of which, Arthur, Part 2: Mort d'Arthur received its world premiere in 2001 at Sadler's Wells, with the Birmingham Royal Ballet. Of more recent orchestral work, Symphony 'Labyrinth' (2007) was commissioned by the BBC for the Royal Liverpool Philharmonic, Horn Concerto Rainforest IV (2006) for David Pyatt and the BBC National Orchestra of Wales, Cello Concerto Songline (2007) for Truls Mork and the Hallé Orchestra, and Joybox (2013) by the BBC Proms for the BBC Philharmonic Orchestra. Other compositions included works for The King's Singers, Stile Antico (Three Choirs Festival) and the Carducci String Quartet (Presteigne Festival). Many CDs have been released in recent years of a wide variety of his music, from the complete Edward II, orchestral and chamber music, to piano and choral music. The Dutton Epoch recording of his Piano Concerto No. 1 with the BBC Scottish Symphony Orchestra and conductor Christopher Austin was awarded the accolade as Best New Piano Music Recording of 2007 by International Piano magazine. In the 2011/12 season there were five major CD releases, including his Farewell Piano Recital (Toccata Classics), and, featuring his own music, CDs of piano duos (Quartz), clarinet chamber works (Guild), string orchestral music (Dutton) and choral works (Naxos). During his 75th Birthday year in 2014 further CDs were issued which included recordings of his Trumpet Concerto, La Primavera (2012), Symphony No 1 Elegy, and Tuning (which included a rare performance of McCabe as conductor). Recent works include Psalm-Cantata (2012), commissioned by the English Baroque Choir and their music director Jeremy Jackman, who gave the first performance in March 2013 at St. John’s, Smith Square, London and Christ's Nativity (2014), which was commissioned by the Hallé Choir and premiered in Manchester in December 2014. McCabe was active as a writer of music, and was appointed C.B.E. by HM The Queen in 1985 for his services to British music. 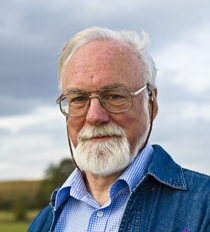 In 2004, the Incorporated Society of Musicians honoured John McCabe with the Distinguished Musician Award in recognition of his 'outstanding contribution to British musical life' and in 2006, Liverpool University awarded him an Honorary Doctorate in Music. In 2014 he was awarded the Ivors Classical Music Award and the Iles Medal for contributions to the brass band movement. His music is published exclusively by Novello and Company, London. A book on the music of John McCabe, ‘Landscapes of the Mind’, is published by Ashgate Publishing Ltd. For more information, click here.